Fishmaw Steak is of course the signature item. Because of this item, we decided to have a dinner in King of Fishmaw. 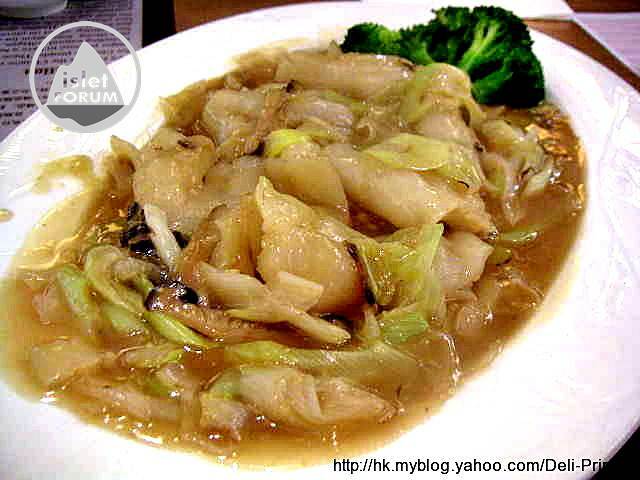 There are two large sheets of fishmaw, which are cooked with Peking onion, sliced mushroom and seasonings. In the photo, we are sorry that we forget to stretch out the fishmaw steaks to show you how big they are. They are 4 x 5 inches each. At the end, only a dollop of brown sauce remains on the plate. 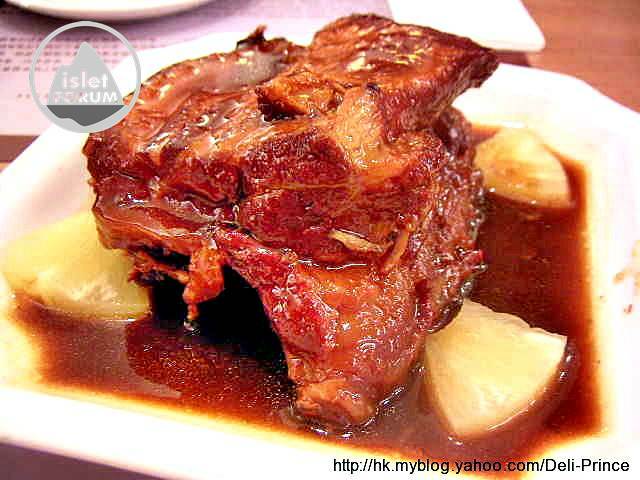 Pork Rib in Special Sauce is an average dish. Maybe, they have not added msg to all foods, the pork rib is not so tasty as those in other restaurants. If it is mainly because there is no msg, I would accept this dish without hesitation. Vegetable in Abalone Sauce. When I come across the name of such dish, I always have questions in mind. How does the restaurant have such large amount of abalone sauce? 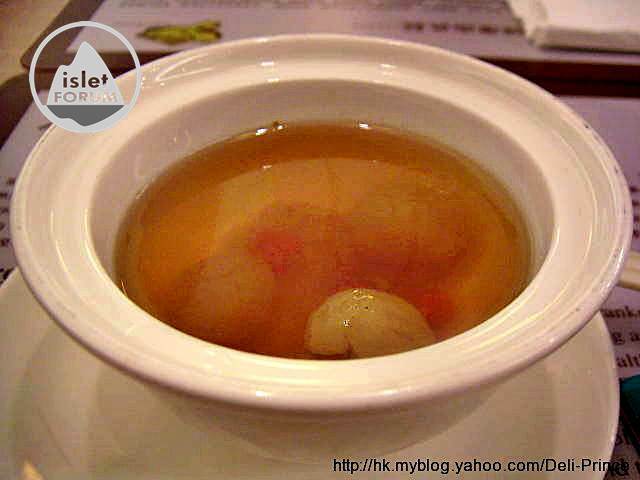 Where does the abalone go to, after making the sauce? 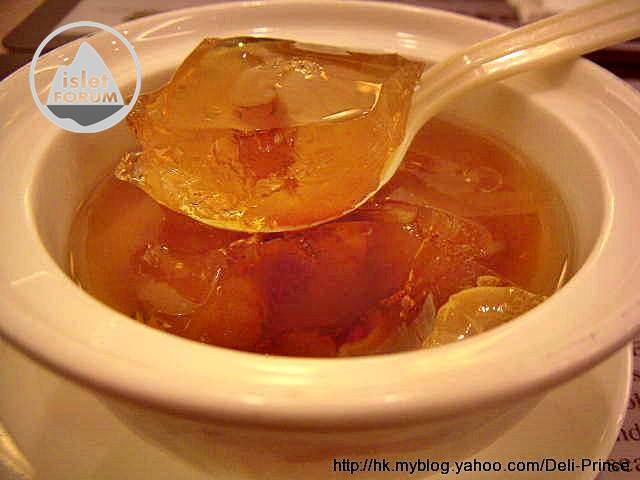 Fishmaw Jelly w/ Medler Seed & Long An is an item highly recommended to you. Even though you do not have dinner in this restaurant, you may still order this dessert. Apart from this item, there are similar ones with almond juice or coconut juice. G/F, 12B Lai Wan Road, Mei Foo Sun Chuen, Laichikok, Kowloon, Hong Kong. Remarks: It is suggested to order lunch set or dinner set. King of Fishmaw should have a history of more than 15 years in Mei Foo (I am not sure). It is a Chinese style restaurant, with limited space between tables. But the waitresses are of good manner to us and are patient in explaining the menu. In the day of our visit, the restaurant is only 50% full. Maybe, it gives the general public a false impression that it is a restaurant of high average spending. We order a Fishmaw dinner set for 2, the bill is $330 (average per head $165). Though there are only 5 items in the set, after drinking the soup and eating the fishmaw steak, we are already half full. We appreciate very much that the dessert is in fact an item of $38 each, but not those assorted fruits Robinson jelly. Overall comment is above average. We are delighted to have a try of such a value for money dinner. "Fa Gau 花膠" is the Chinese name for bladder of deep-seas fishes, after long period of natural sun drying, processing and without any chemical treatment. 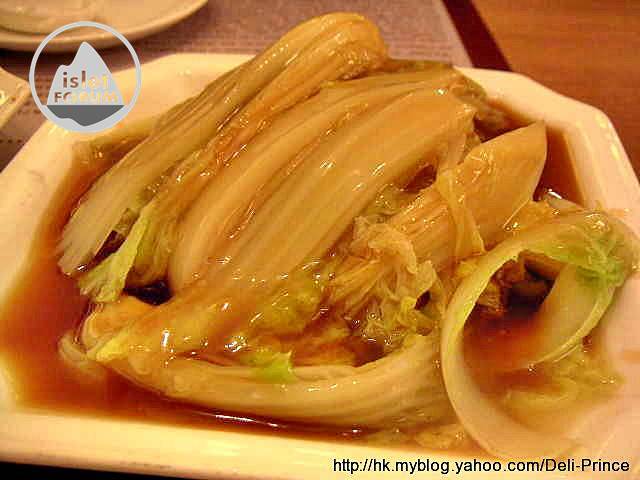 Fa Gau is ranked among the top most valuable delicacies for Chinese people. 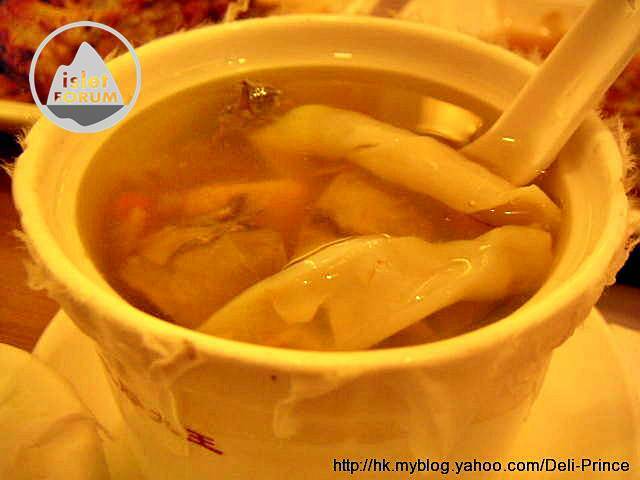 These four delicacies are abalone, shark fin, ginseng and fishmaw. Regardless in which century, the major purpose to have a healthy diet is to extend the life, and build up a healthy body. Fishmaw has all the nutritious contents including natural collagen, fibre, protein and vitamin E. Having fishmaw soup as a regular diet builds up a strong foundation for a healthy body and improves the immune system which will lead to an effect for beauty. It also has a strong effect on preventing illness. Besides, fishmaw has no cholesterol and fat, and therefore it is a treasure diet for all ages. Healthy diet is the coordination between human and the nature. Full coordination is the key to have the best effect.